Community members may reserve a park shelter for family parties, reunions, or community group picnics. The shelters listed below will provide your group an area to gather and share a meal while enjoying the great outdoors. Reserve a shelter by filling out the Park Shelter Reservation Request Form. 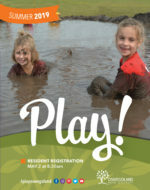 Reservations open annually on January 2 for Residents and April 1 for Non-Residents. View our 2019 Preferred Vendor List. Businesses and Organizations, looking to use our park or trail system? Contact our Reservations Department at 630.554.4477 or reservations@oswegolandpd.org for more information.